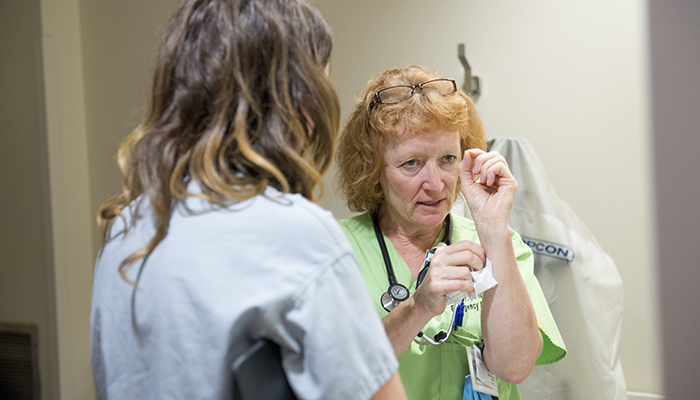 Dr. Miriam Mann, MD’88, is the Medical Program Director for Emergency Medicine at HPHA. She’s worked in emergency medicine for more than 25 years, and served as Chief of Emergency Medicine at Stratford General Hospital for more than 16 years. 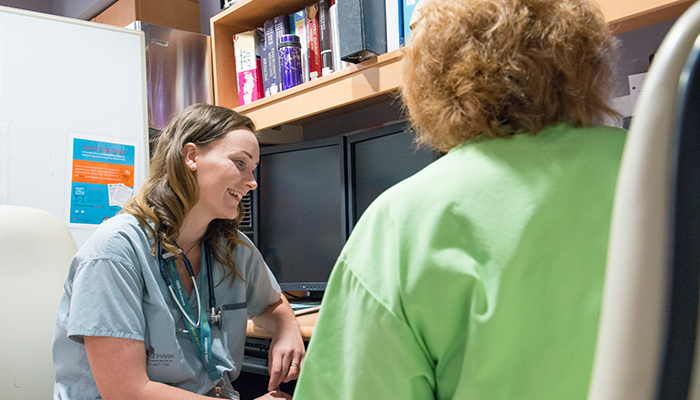 Dr. Alicia Cundall is a second-year Family Medicine resident with Schulich Medicine. She completed her medical degree at McMaster University in 2016. Dr. Shanil Narayan is the Regional Academic Director for the Huron Perth Academy and a general internist. He is actively involved in medical education as a teacher, mentor and researcher. 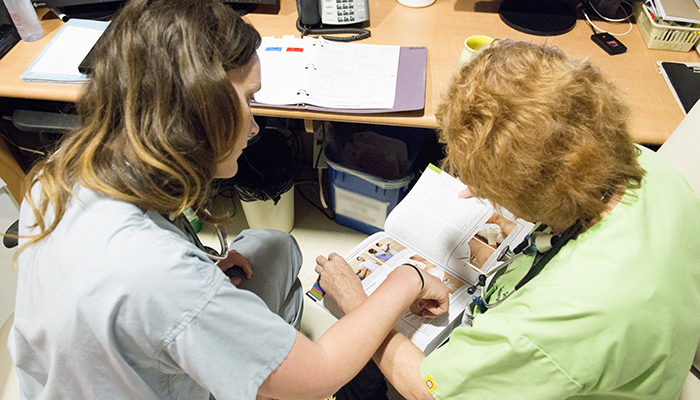 HPHA is part of a network of more than 60 communities in Southwestern Ontario where medical training takes place. 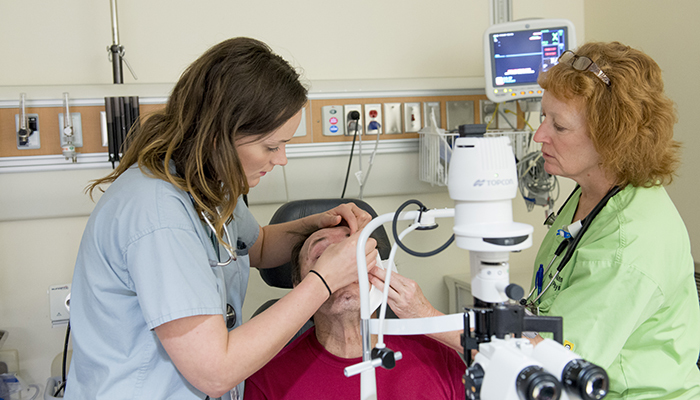 Through these types of distributed education experiences, trainees gain unparalleled exposure to patients, health systems and health challenges. In 2016, HPHA had a total of 85 learners at its sites in Clinton, Seaforth, St. Mary’s and Stratford. Earlier this year, the organization opened a new dedicated space for trainees at its Stratford site. Thank you to Dr. Miriam Mann, Dr. Alicia Cundall, Laurie Roberts, Amanda Dobson and the team at HPHA for your assistance and support with this project. I’ve been practising emergency medicine for more than 25 years, and served as Chief of Emergency Medicine at Stratford General Hospital for more than 16 years. At this point, there are not many things that surprise me anymore in the emergency department (ED). It’s really the people that keep my work interesting. In the ED, I have about five minutes to let patients and their families know they can trust me, so people skills are essential. As a female physician, I’m standing on the shoulders of a lot of women who came before me, and I recognize the importance of a good mentor. It’s particularly rewarding to train future medical leaders, like Dr. Cundall, and a true privilege to watch them coming into their own as physicians. When learners come to the Stratford community, I think they’re often surprised by the quality of care and the variety of services we offer. There’s a multi-disciplinary approach to our work, and we have a number of full-time emergency physicians that also practice family medicine. 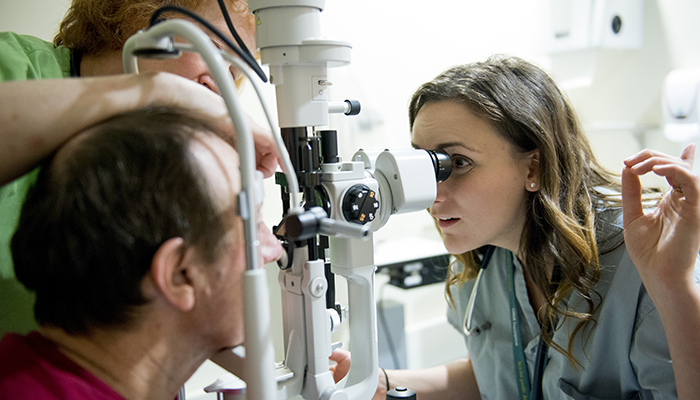 This provides a great spectrum of experience for learners on the frontline and primary care. 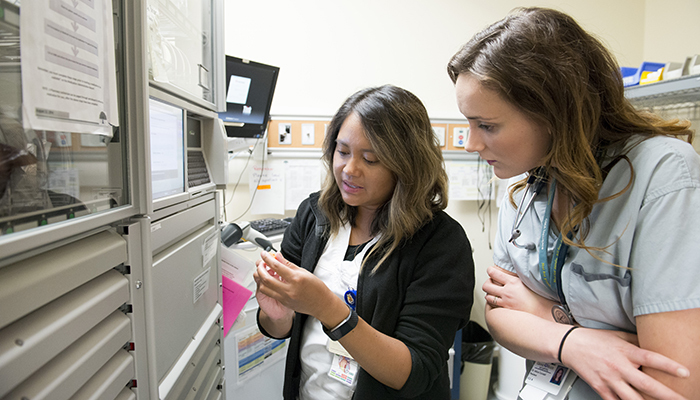 In a community hospital, there aren’t multiple levels of trainees on rotation at one time, so when learners are here, they’re typically the only one working with an individual physician. It’s a fantastic one-on-one learning opportunity. When bigger patient cases come to the ED, the student or resident manages with me, which means they get to see and do a lot more. They’re also given some autonomy and treated like a part of the medical team. At HPHA, we aim to continually improve our teaching and mentorship to ensure we’re helping learners grow as medical professionals through their rotations. 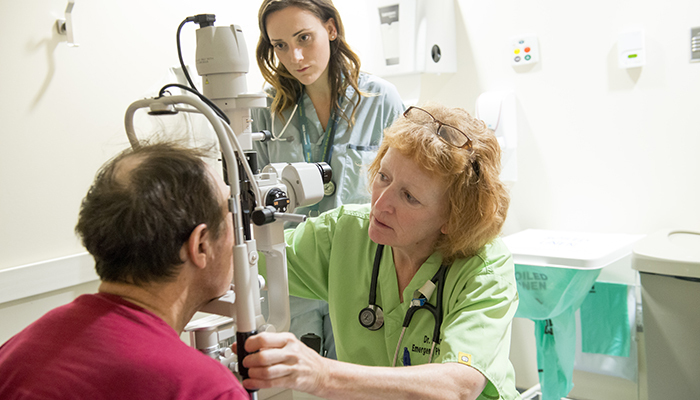 There’s a real focus in our community on high-quality medical education, and making sure we’re educating physicians to meet the needs of our patients. We want to them to leave with the requisite skills, knowledge and judgement that will carry them through their careers. Mentors in medical education inspire us, encourage us and bring out the best in us as learners. For me, Dr. Miriam Mann has been an exceptional mentor and teacher during my time at Stratford General Hospital. My goal to pursue training in emergency medicine was strongly influenced by my experiences in community emergency medicine including the supervision of Dr. Mann. She holds herself to high standards, which inspires the residents and everyone around her to strive for the highest quality of care. Despite her expertise and experience, she remains down-to-earth, humble and approachable. This ensures all members of the team feel comfortable asking questions and making suggestions. With this strong mentorship, my experience at Stratford General Hospital has been phenomenal. The medicine is always interesting – because the hospital services a number of small towns and communities in the area, cases cover a wide spectrum of patient care and skill. As a resident in a more rural centre, I am the first one up for procedures, and in trauma cases, I am able to take a leadership role. Residents learn not only about how to manage trauma cases that come in, but also when to transfer them out. In this way, we learn the systems that surround trauma and how to mobilize resources to advocate for our patients. There is typically no plastic or orthopaedic surgery resident to come down and see a patient; therefore, where appropriate, we do a lot ourselves, which advances our skills and competence. Physicians at the hospital know their patients as members of the community, which helps them see patients for who they are, not what they are presenting with. It’s refreshing and inspiring to see these genuine and caring doctor-patient relationships first hand. Patients are neighbours, farmers, grandparents, and school-teachers in a community setting, and this leads to a strong sense of accountability. 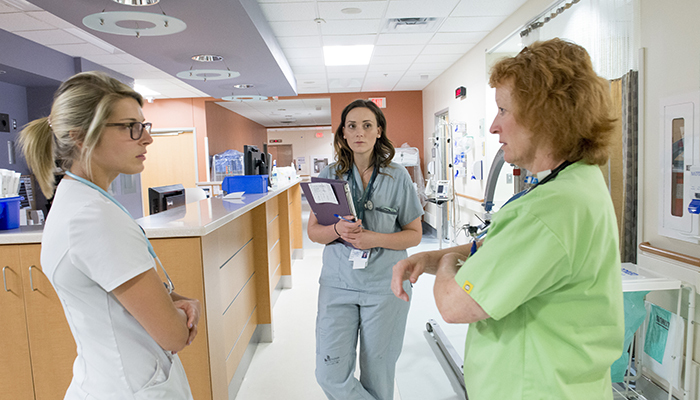 The emphasis on interdisciplinary health teams has also shaped my experience in Stratford. I was warmly welcomed by the nursing staff, who helped show a new resident the ropes. Every nurse I’ve worked with in the Emergency Department has been kind, patient and exceptionally competent. I’ve also learned a lot by being part of a model of care where specialists, emergency physicians and family doctors work effectively together. 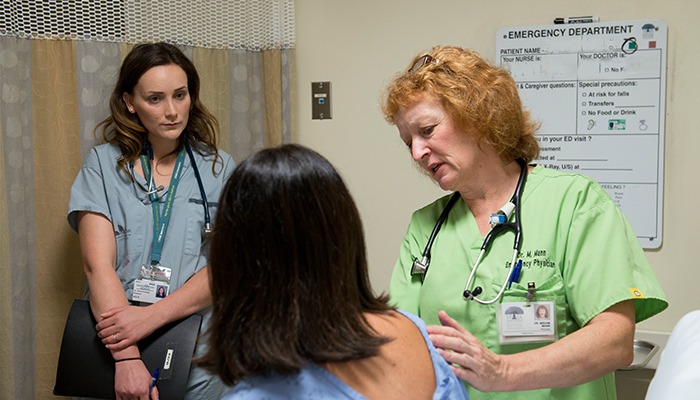 When a patient is sent home from the Emergency Department, the discharging physician knows what sorts of supports they are going home with. They can follow up easily with their primary care physician and specialists. Family physicians are the bedrock of care in the community and are highly respected for their pivotal role. 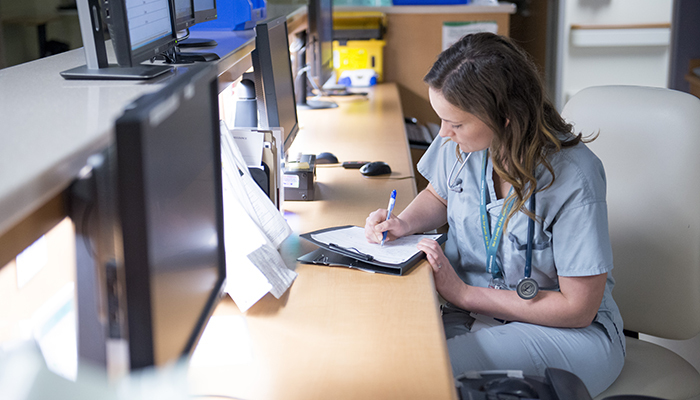 Specialists at Stratford General Hospital are eager to lend their expertise and they respect the assessments of the local emergency physicians. With the excellent support for learners, strong mentors and a positive environment, I’ve truly enjoyed serving patients and the Stratford community. Dr. Mann is one of those unique mentors who has left a lasting impression on me. I’ve had the privilege to learn from someone who makes time for learners and invests in our success. I look forward to doing the same for others when I am a staff. I am grateful to Dr. Mann and the community at Stratford General Hospital for their commitment to training Ontario’s new doctors. 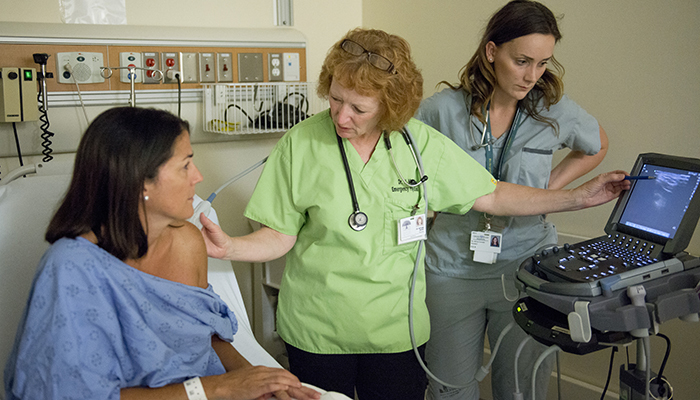 Medical education is critical to quality of care for patients in our community. 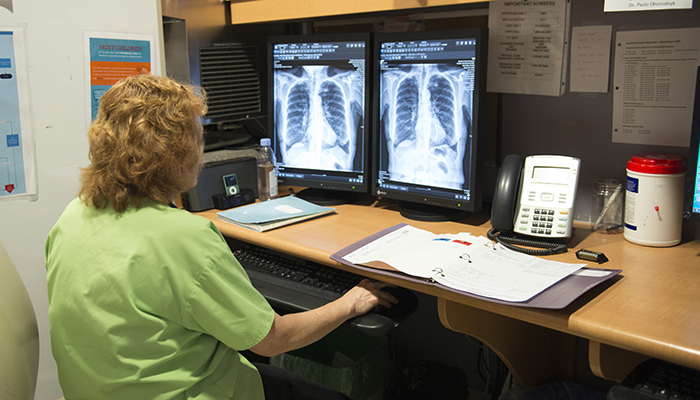 In an environment that is increasingly strained for both human and financial resources Medical Education remains the core component that allows us to adapt quickly and efficiently to new information and patient care needs. 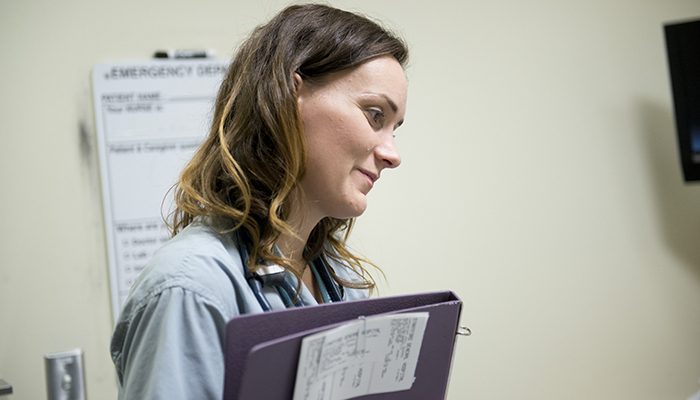 Medical education teaches the front line skills to help us care for the sick, and provides the skills to Lead our health care system’s evolution. 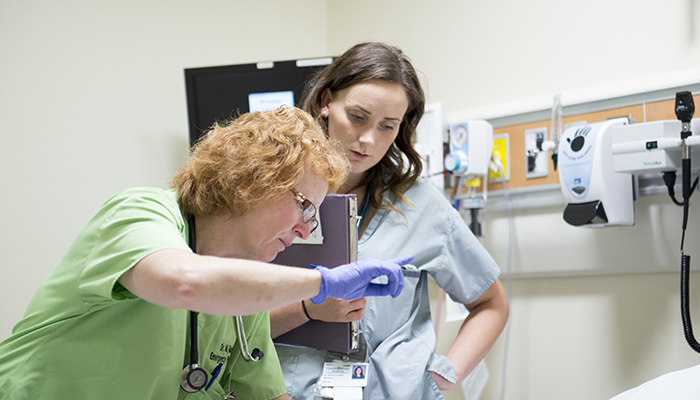 The reason that medical students and learners need to experience rural/regional medicine, outside of the traditional teaching hospitals, is best highlighted in a recommendation report by one of our governing national education bodies, the Association of Faculties of Medicine of Canada. Learners need to be situated where the largest percentage of patients end up. They need to see undifferentiated and common problems. We provide exposure to what we call reality-based medicine. My role in the Huron Perth Academy has been to help build connections between the previous silos of academic and community medicine. Our network helps to debunk the myths that historically divided these groups and contributed to excellent physicians leaving the communities that needed them. Additionally we can leverage our relationship to highlight innovative models of interprofessional care to a new generation. Particularly, our models highlight the value of Generalists, the building of relationships and networks, and the use of technology in delivering high-quality, cost-effective care. I also think that smaller communities provide a wonderful opportunity to rebalance our centers with respect to accountability and privilege. Our patients in the community are our neighbors and typically extremely appreciative of the care they receive. Nurses, other allied health care providers and those supporting care delivery are our friends as much as colleagues. Connections bring out the best in people. Sometimes you have to experience it to learn this truth. 1. The Future of Medical Education in Canada (FMEC): A Collective Vision for MD Education. The Association of Faculties of Medicine of Canada, 2010.